In the Fall of 2014 at our Westminster Campus, three weekly services averaged just under 1,000 people. While we were reaching into the heart of Carroll County, we knew our limited space at optimal inviting hours made it nearly impossible to continue inviting people to hear the Gospel and experience community. So you built a second campus in Hampstead through our three-year Defining Moments capital campaign! In 2014, you pledged just over $1.2 million dollars. Over the next three years, $1,115,151 was given over and above your regular offering. You not only invested in a building for our Hampstead campus, but you also grew the staffing and central support teams to support our new multi-campus approach to ministry. At the same time, you launched Crossroads Counseling Center to provide Christ-centered counseling. You created a men’s residential addiction recovery program. You distributed thousands of pounds of food to shelters and food pantries in Maryland and Pennsylvania. And you sent over 10,000 bikes to Nicaragua to support ministry through NicaWorks! Most importantly, over the last three years, you reached out and changed lives. And the best is yet to come! 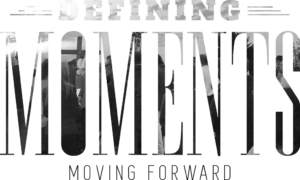 We invite you to join our next Defining Moment. Would you help us reach our 2018 goal of $335,000? In order to continue moving forward, we took a step back and listened to God, and we asked Him to guide our direction. After much prayerful consideration, God has made it clear that Crossroads Community Church is to be one church, growing in two directions! We want to lead 10,000 people in our area to life changing faith in Jesus Christ and touch 10,000 people across the world with our missions affiliates.